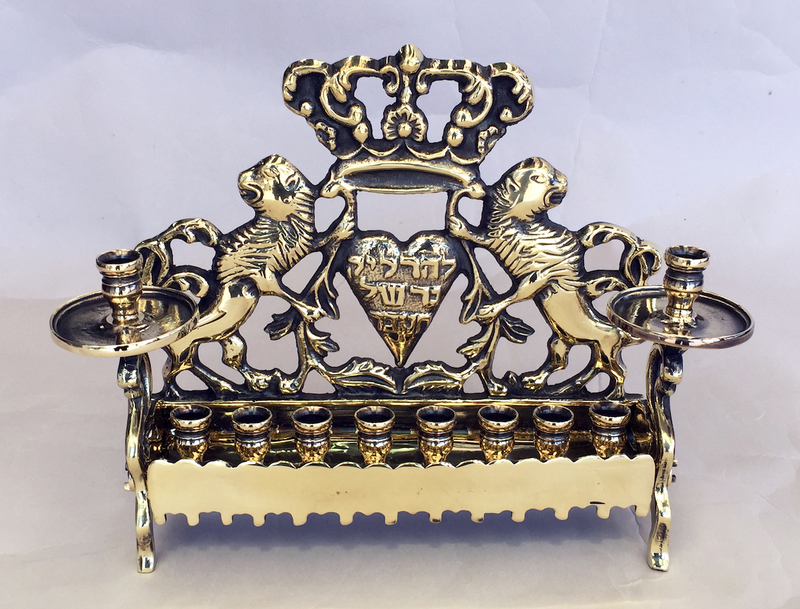 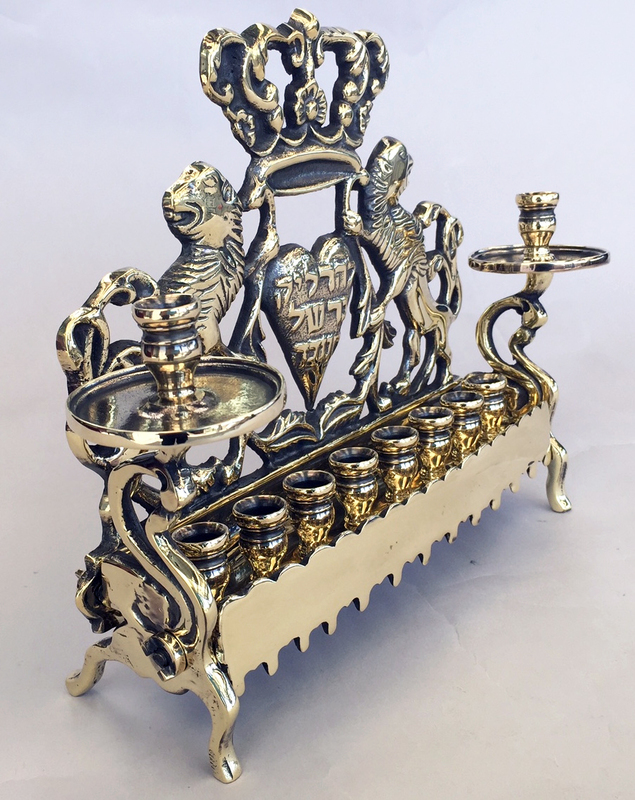 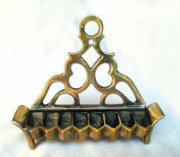 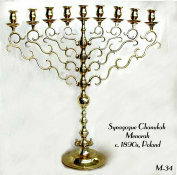 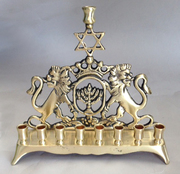 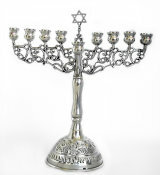 Spectacular "HEART" Menorah with rich design details. 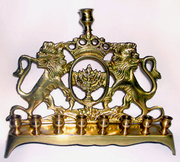 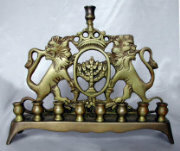 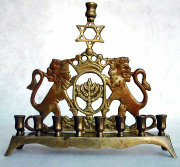 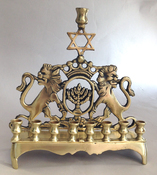 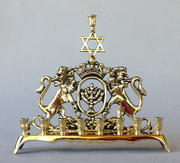 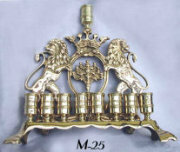 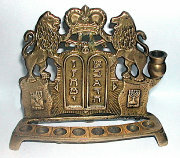 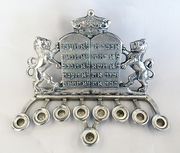 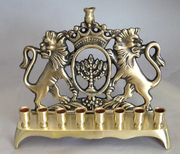 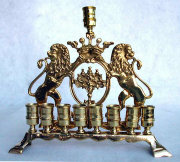 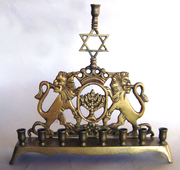 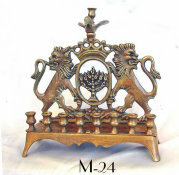 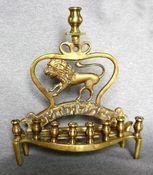 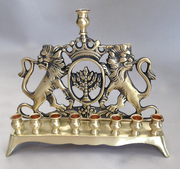 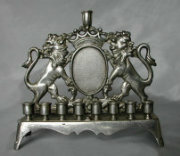 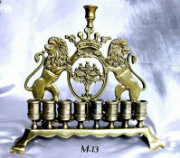 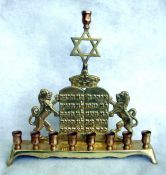 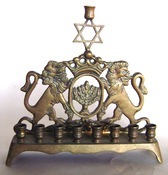 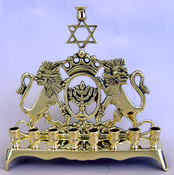 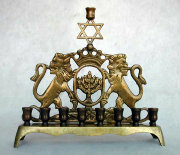 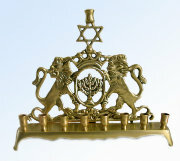 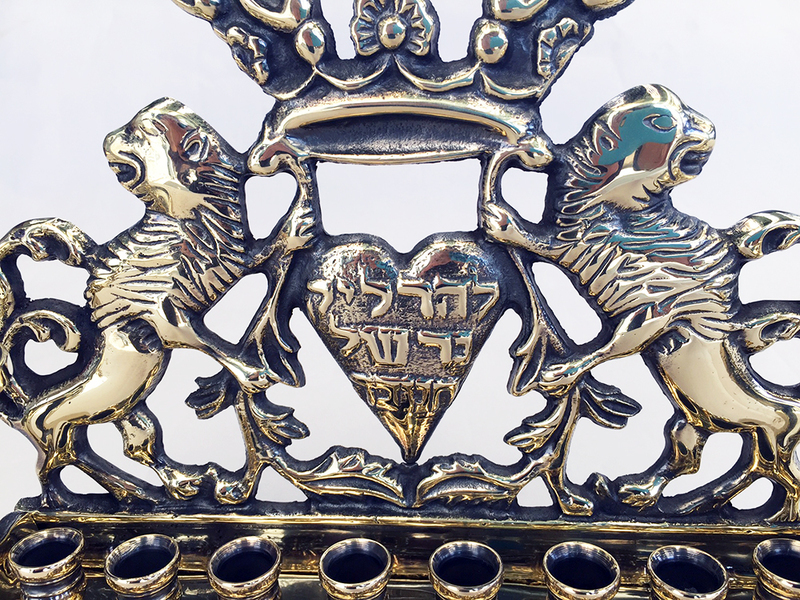 Rampant lions support a heart shaped cartouche with Chanukah prayer in Hebrew. 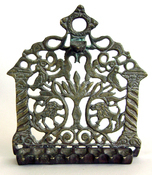 Decorative foliated and leafy framework. 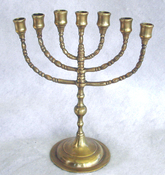 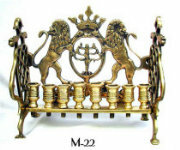 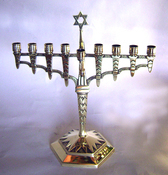 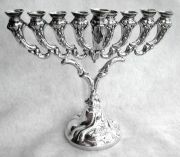 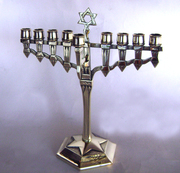 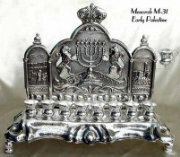 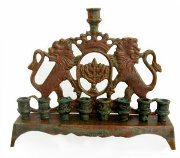 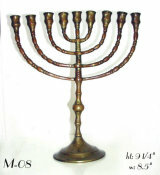 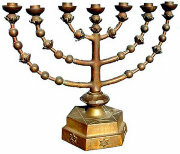 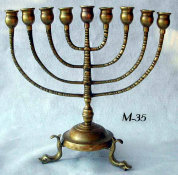 Eight oil fonts and two candle holders to use during the Sabbath days that fall during the eight days of Chanukah. 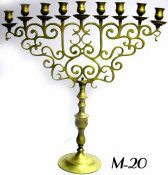 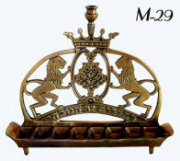 Based on an 18th Century design, an example of which is housed in the Museum of Artistic Crafts in Lvov, Ukraine. 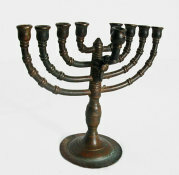 With handturned screw assembly and nuts, a decoratve fencing at the base. 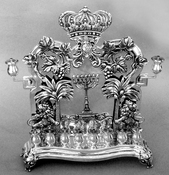 Topped with an ornate foliated Torah Crown. 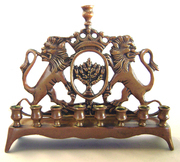 c. 1850s. 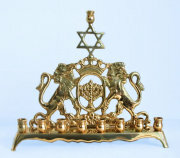 A desirable piece for any collection. 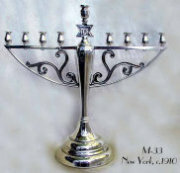 Dimensions: Ht: 8.5", W:12", D: 3.25"